I’m now calling this “victory chili”, because when I made it a few days ago for the Royals’ big wild card game, they freaking won and earned their way to the play-offs for the first time in 29 years!!! Oh my goodness. People reading this post years from now will probably have no idea what I’m talking about. But this game was epic. Or as my dad called it, “the best game he had ever seen”. I think the entire city stayed up until midnight for the nailbiter of an ending, and you could literally hear cheering in the streets every step of the way. It was crazy! So crazy! And so awesome. 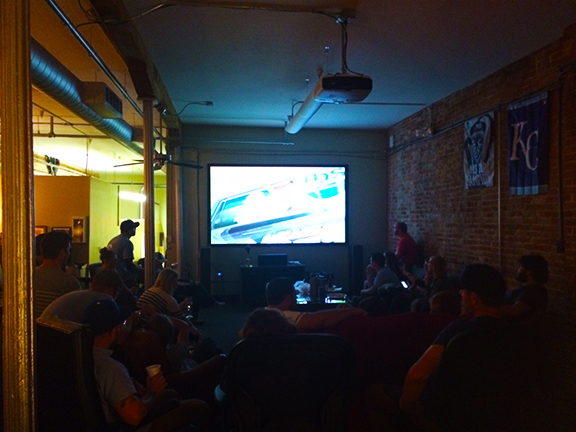 I spent the night cheering them on with about 30 neighbors for a Royals-edition of our weekly #neighbornights. And my contribution for the evening was a slow cooker full of delicious, classic chili. I recently confessed that I’m not a big fan of ground beef. But I know that all of my other neighbors seem to love it, so I took one for the team with this one. (Although if you’re in my court, you can easily substitute ground turkey or even chicken.) They all totally gave it a big thumbs up. So since the Royals’ next playoff game is tomorrow night, I may just have to make another batch. You know, for good luck to continue on our awesome new winning streak. Go Royals! Also awesome? 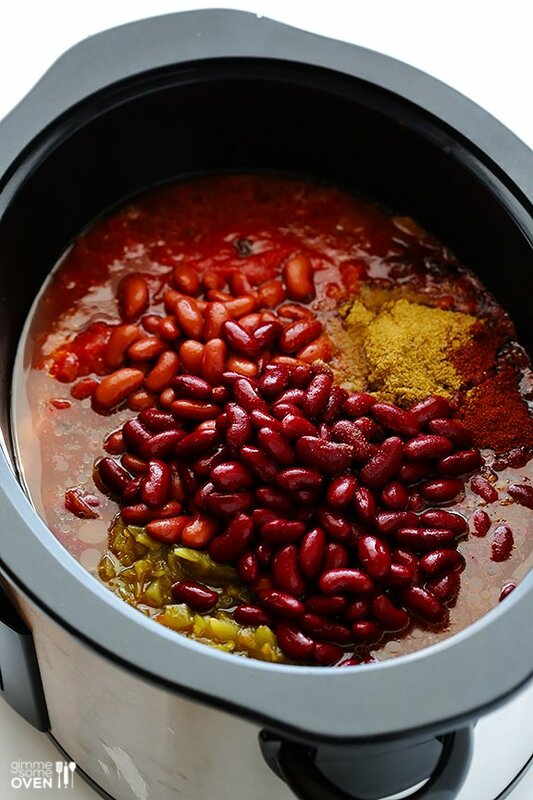 The fact that I made this chili with a fancy new slow cooker that I recently received to test out — the Crock-Pot® 6-Quart Slow Cooker with Stovetop-Safe Cooking Pot. It’s the first-ever slow cooker that allows you to actually lift out the ceramic cooking pot and place it on the stove (to brown the hamburger, in this case) and then transfer it back to the slow cooker. It seems like such a no-brainer, but I’m obsessed with it now. And today I’m excited that we’re going to be giving away one of these fancy new Crock-Pot® Slow Cooker to one of you! 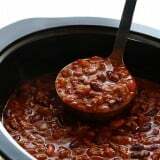 So keep reading below for this slow cooker chili recipe, and also take a second to enter this giveaway for a chance to win. 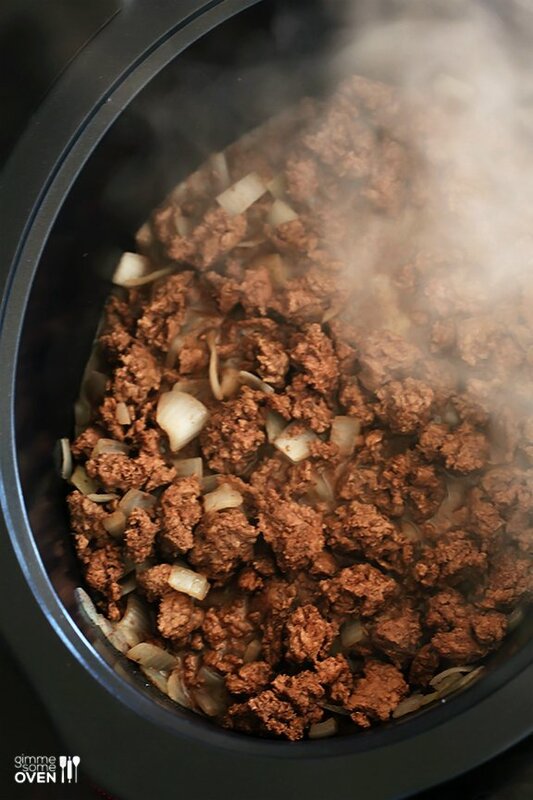 Just like any other beef chili, the first step in this recipe requires browning the beef and onions. So I thought that was a perfect chance to test out the cool new stovetop capabilities of this new Crock-Pot® Slow Cooker. Much to my surprise, the first thing I noticed when lifting out the ceramic pot is that this one is so much lighter than other slow cookers! I don’t know about you, but every other slow cooker I’ve had has a pot inside that is h-e-a-v-y. (Which I especially notice when trying to transport or wash it.) But nope, this version is surprisingly lightweight and transferred easily to the stove. From there, I just treated it like a regular stockpot on the stove to brown the beef and onions, and it worked like a charm! The only heads-up I’ll give you is that there are no handles on the pot. So if you want to move it around on the stove or whenever you’re ready to transport it, use potholders! 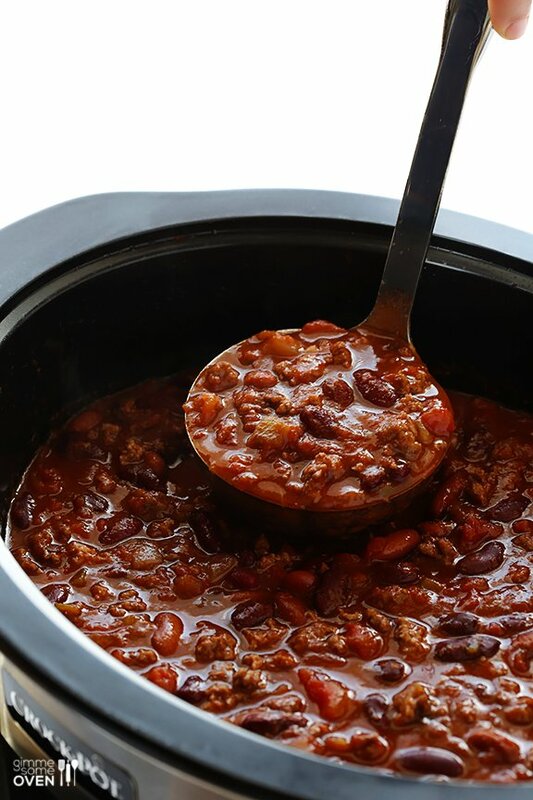 …and the slow cooker worked its magic and this steaming, delicious pot of chili was ready for the big game. Since I was cooking for a big crowd, I decided to kind of aim for the middle when it came to the seasonings and heat in this chili recipe. But I did add in a few chipotle peppers for a smoky kick. And if you love heat, I definitely recommend adding in an extra jalapeno or two. But other than that, this basically defines what I think of as classic chili. It’s thick, beefy, tomato-y, slightly spicy, a little smoky, and SO GOOD. Perfect for eating in a big bowl by itself. Or I noticed that my neighbors also transformed it into all sorts of things, like frito pie, chili baked potatoes, chili cheese dip, and chili dogs. 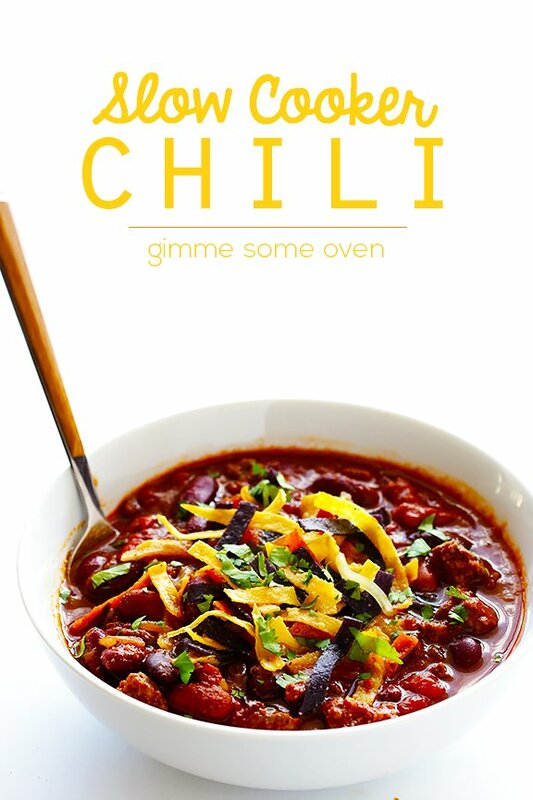 Basically however you like chili, it’ll work. So check out the recipe, and be sure to enter the giveaway below for a chance to win a fancy new Crock-Pot® Slow Cooker of your own! *I used about 3 chipotle peppers, but did not add any extra adobo sauce. **If you don’t like kidney beans, you can also substitute in black beans, pinto beans, or great northern beans. 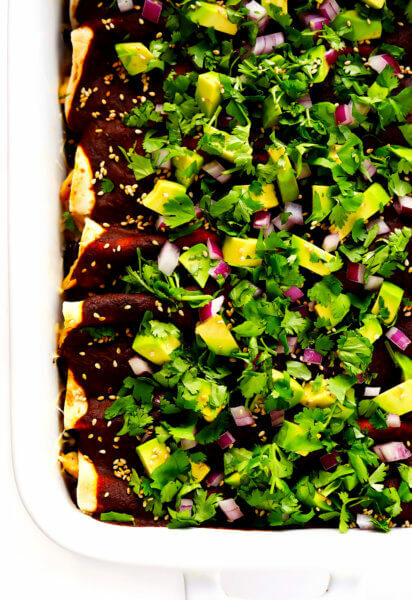 I can attest to the fact that this is a seriously tasty recipe. We had several important visitors last weekend so I gave it a go. I have gotten a lot of recipes from blogs, and really enjoyed them, but this is the first one that I’ve been so happy with, I’ve come back to the site to comment! 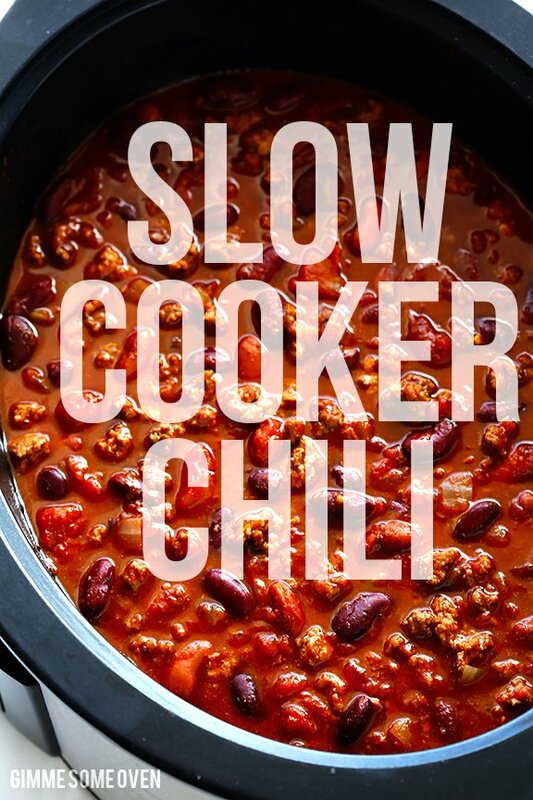 This chili is delicious and super simple to make. I take your advice to add a couple peppers (I use serrano), since the first time I made this it wasn’t spicy enough for us. That might be because I don’t add the seeds from the chipotle peppers?? Also, since I buy dried beans in bulk, I use those instead of canned and add extra beef broth. 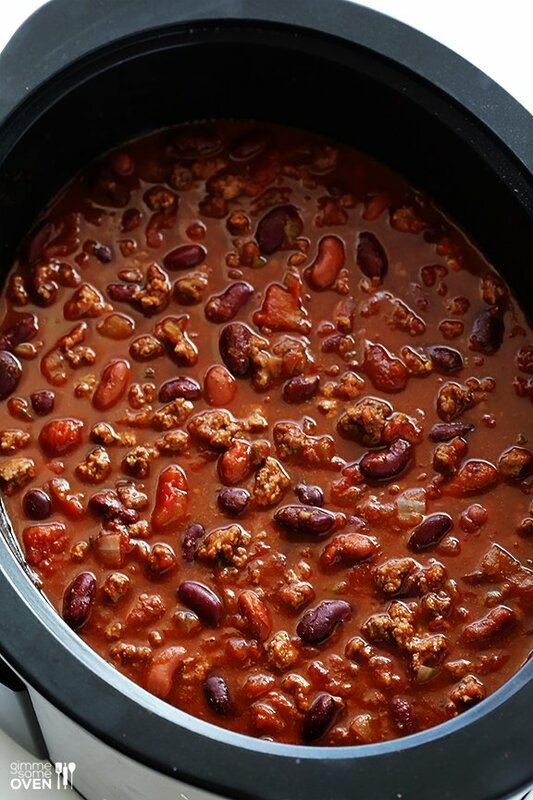 I’ve got this chili in the crock pot right now, and a house full of happy kids! Thank you for the recipe! 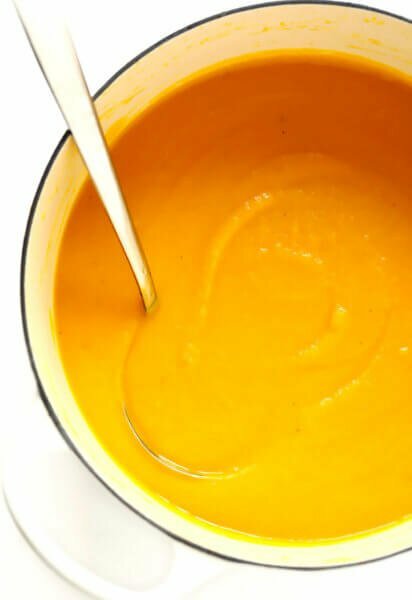 I’ve made this recipe twice and my company and I loved it! I leave out the sugar since I am diabetic, and I’ve also left out the chipotle since I don’t like very spicy food. But next time I might try adding it. Can you tell me what a serving size is? I’m post bariatric surgery and need to track my food so need to know serving size to calculate calories using my tracker. For now I assumed (12) 2-cup servings, which adds up to 6 quarts total. I can only eat a half-cup volume per meal. Thanks. Thank you for sharing, Dee, we’re so happy it was a hit! We don’t have a specific serving size or nutrition breakdown, unfortunately. We currently are not publishing nutrition facts on the site, as the nutrition calculators available are not 100% accurate, and we never want to publish anything that might be misleading. However, a lot of our readers love the My Fitness Pal nutrition calculator, so feel free to try that for an estimate. We hope that helps! This is a very good flavored chili and is my go-to chili recipe aymore. I cook the hamburger with garllic and onions in the microwave since I don’t have a cooktop other than an electric skillet and makes it even more efficient. Thanks, Letha, we’re so happy you enjoy it! This is so so so so so so good! Mighty Nest sent me your way for the recipe. 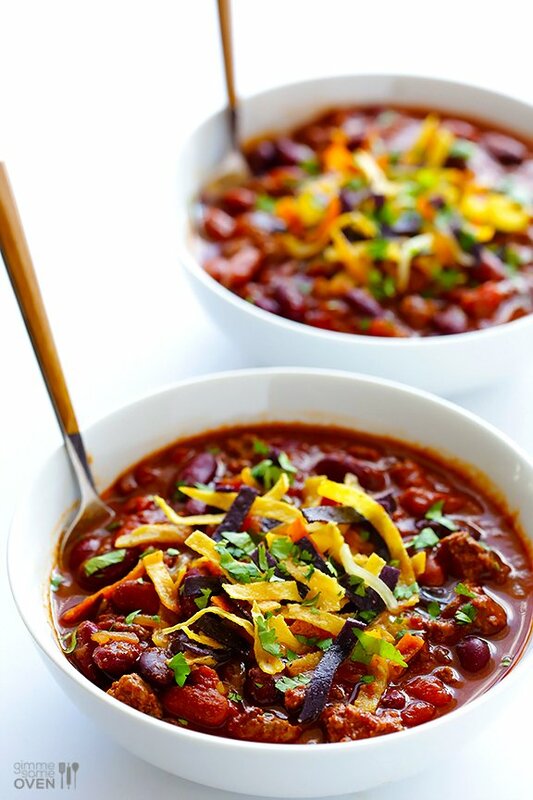 Thanks for sharing an amazing, lip smacking chili recipe! Did I mention how good it is? Happy day! Have made this chili on cold days to bring with me to work. I start it the night before on low, take it with me to work the following day…….co-workers love it! They actually start hinting that I need to bring it if it’s been too long…. :) If you think it’s great the first day, the second day is wonderful (if there’s any left, that is!). 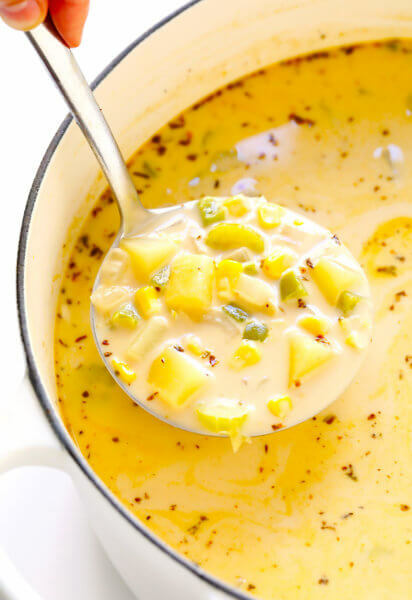 I don’t use the extra peppers, but other than that I follow the recipe…..super easy! Thanks for the great recipe! I got so many compliments from people who don’t make chili because it’s too hard! This recipe hit the spot. I added oregano, cayenne, and chili ready tomatoes. This was a hit, I even gave a kindergartner the link so he can tell his mom to make it! Making twice in a month! I love how easy this recipe is, not to forget delicious! I make it on days we ski at the mountain all day and can warm up with it. Thanks for sharing! 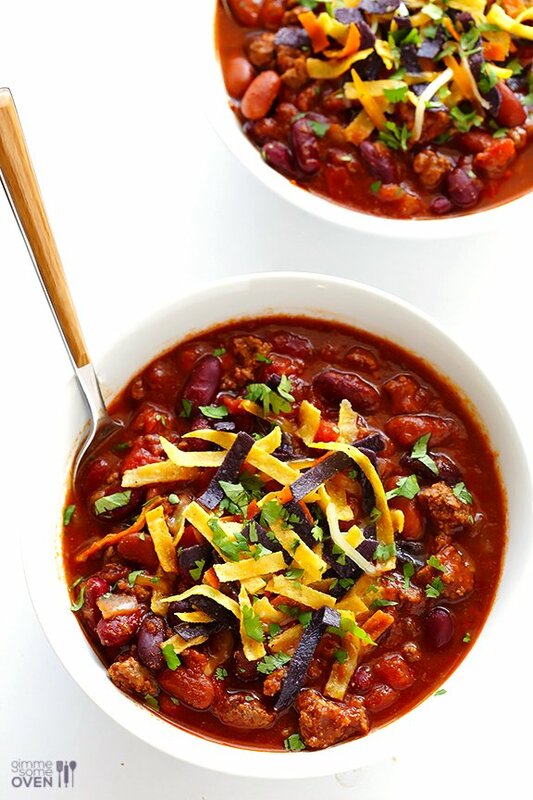 This easy to make chili has such a big payoff! This is my go to chili recipe. It’s truly a crowd favorite and so easy to make! Love this chili!! Can this be made in an instant pot? This chili was absolutely delicious! Was a little spicier than most chili recipes that I’ve made, but super flavorful and so so easy. I added my beans the last hour and I think that was the right call to make, usually the beans kind of dissolve into the rest of the soup when I add it at the beginning.